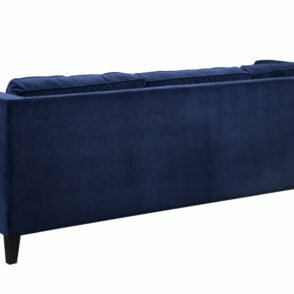 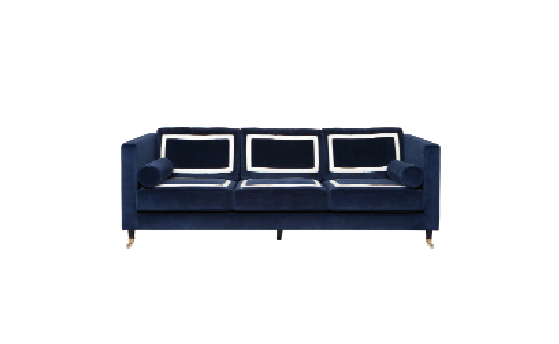 Navy blue 3 seater sofa with white trimming and contemporary look. 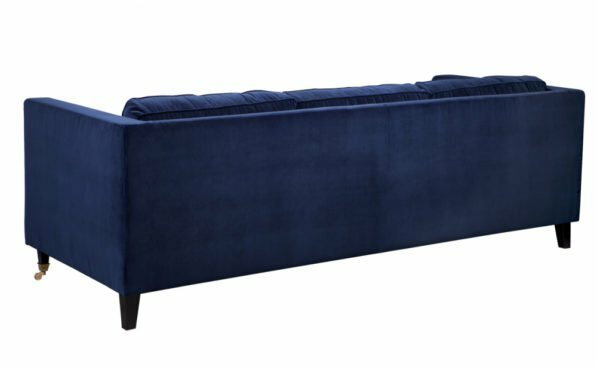 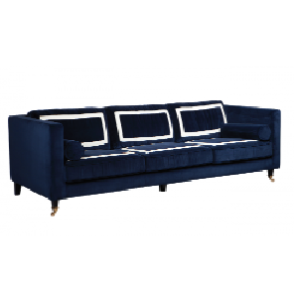 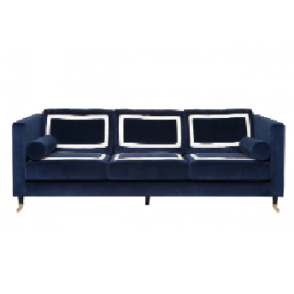 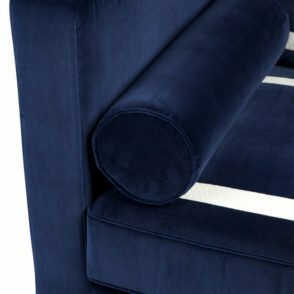 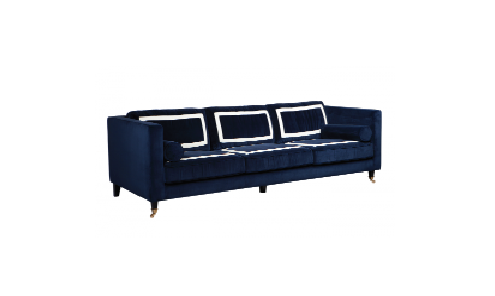 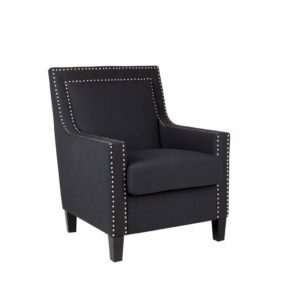 Navy velvet upholstered 3 seater sofa. 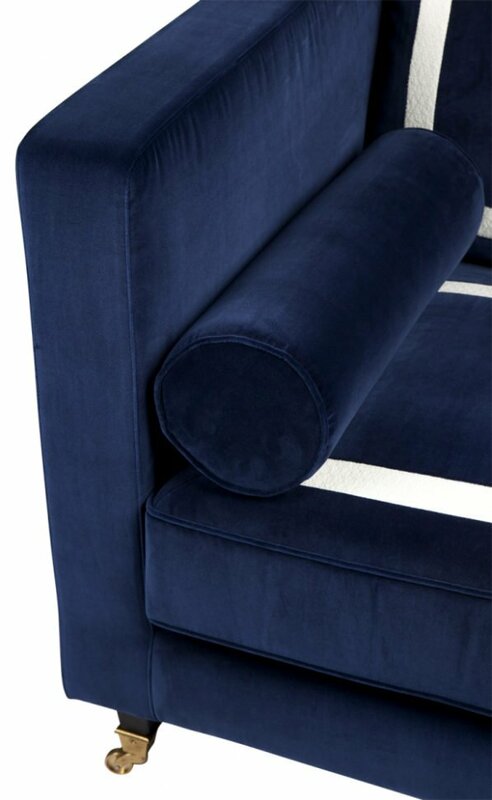 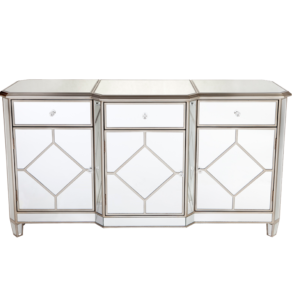 Contemporary sqaure arms with white cotton panels and piping. 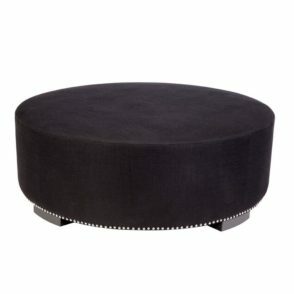 Black timber straight legs with antique brass casters.